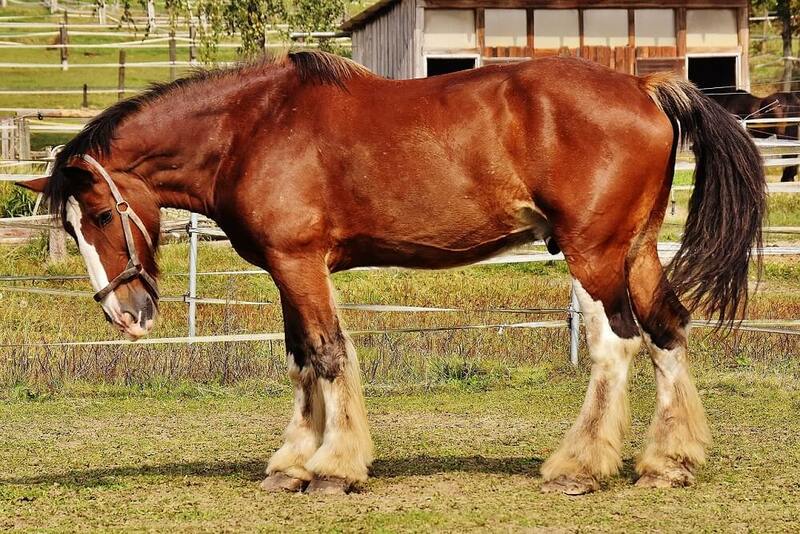 The majestic Shire horse is famous for its extreme strength and imposing height. In fact, it holds records for one of the strongest and largest horse in the world according to various books on horse breeds. But there’s a lot more to this horse than what most people know. The Shire was extensively used to pull carts to deliver ale from breweries to public houses. Before the First World War, these glorious horses were commonly used as farm horses to pull wagons and work on farms. When coal was the major source of light and heat, the Shire was employed to haul enormous loads of coal over the rough terrains. 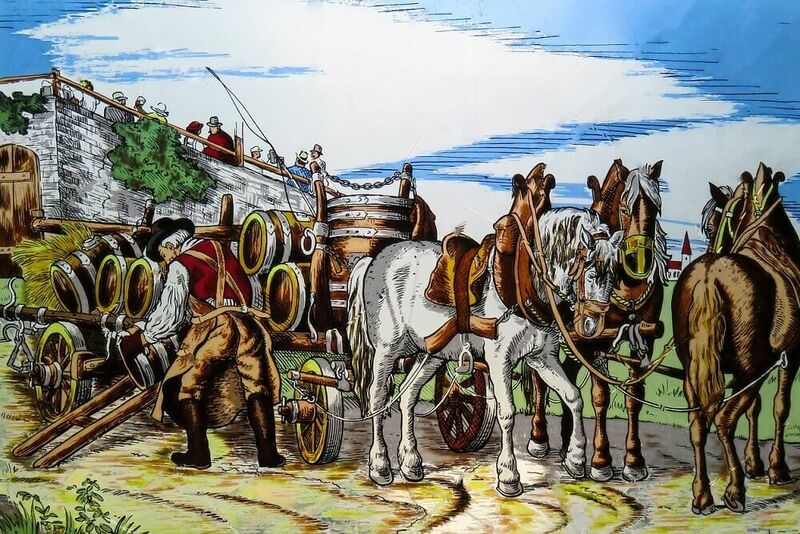 Today, they are still popular for pulling sightseeing wagons, and modern-day brewers still use them for making deliveries. 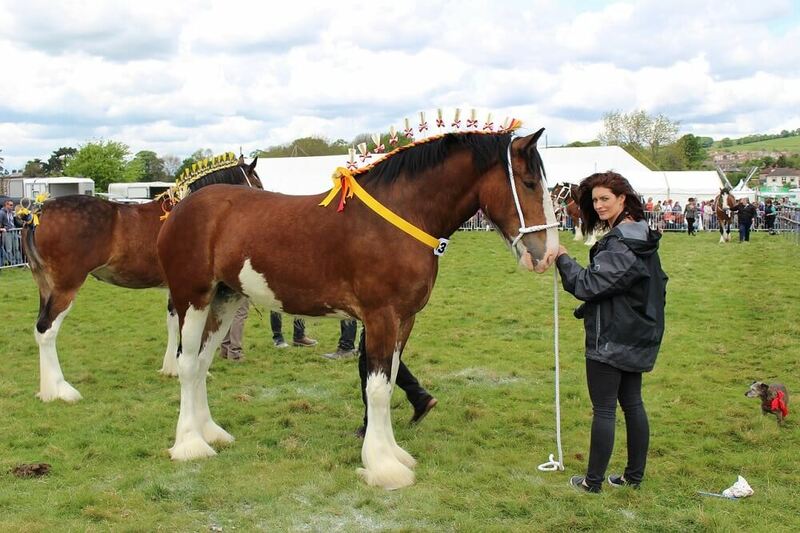 Standing at about 17 hands high, the Shire is believed to be one of the tallest horse breeds in the world. The standard requirement for a Shire should be at least 16.2 hands high, and stallions can go up to 17.2 hands high. 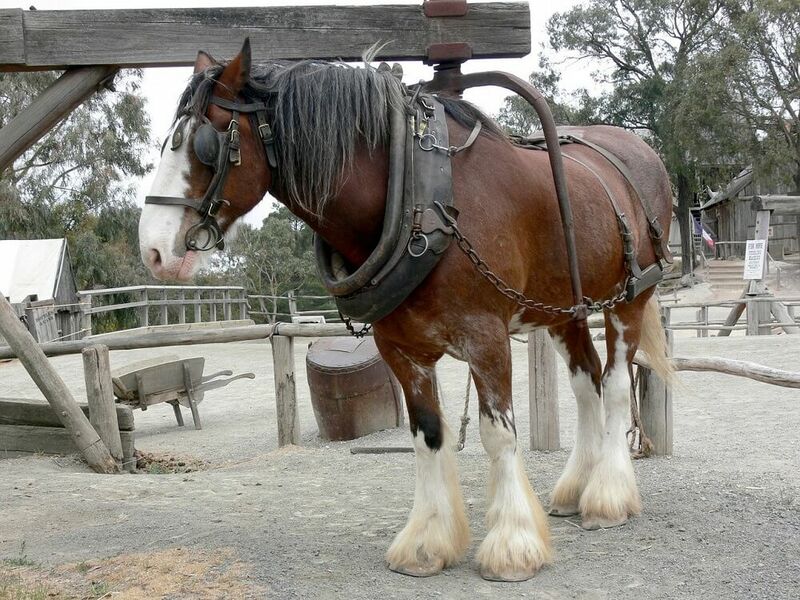 Before he met his death, a Shire named Goliath was the world’s tallest horse in the Guinness Book of World Records. He stood at a whopping 19 hands high. Similarly, the world’s largest horse was a Shire named Mammoth, who stood at 21.25 hands high and weighed over 3300 pounds. In 1924, during an England exhibition, it was found that the Shire was able to pull a load of over 45 tons. No one knows for sure how much weight was pulled because the horses exceeded the maximum reading on the scale. In slippery ground, this same pair of horses was able to pull a load of more than 16.5 tonnes without any difficulties. 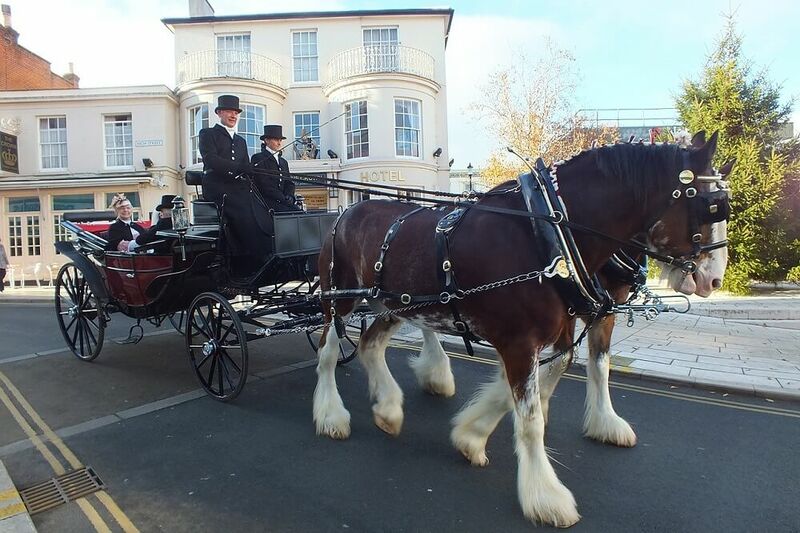 In spite of their imposing height, Shire horses are perfectly calm and docile, which is a trait typical for most cold blooded horses (e.g. Ardennes horse that I wrote about here). They are known for being laid-back, easy to train and therefore a great breed for beginners. Shying, spooking and rearing are uncommon behaviours of a Shire horse. Generally, they aim to please and don’t mind kids, dogs or even loud noises. This calm temperament is often attributed to the fact that they were originally used as war horses, a job that required them to remain calm in chaotic situations. In the era before machines became the workhorse of agriculture, the Shire was well known for its immense pulling strength. Now that horses are no longer needed to pull drafts, the Shire has joined the list of endangered horse breeds in the UK, US and Canada. Today, it is estimated that there are less than 1500 Shires globally, and the breed is one of the endangered species of animals in the world. It is hard to beat the sheer strength and work ethic of a Sheer horse. He learns very fast and wants to please at all costs. This docile draft horse, suited to ploughing and pulling, is so easy to train as a riding horse. Well conditioned, he can work for long hours in the fields or on the road. 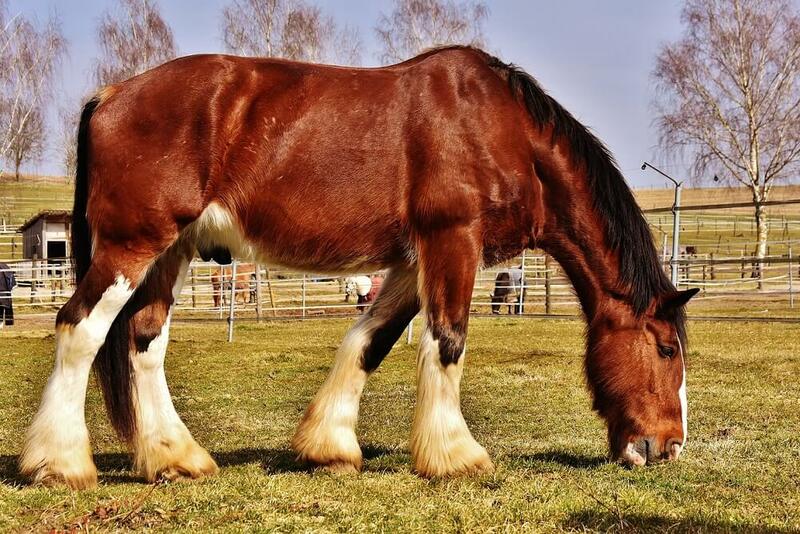 A pure Shire horse may command up to $15,000. Stud fees for Shire stallions are usually advertised for over $1,000. Even mixed Shire breeds command prices upwards of $10,000. 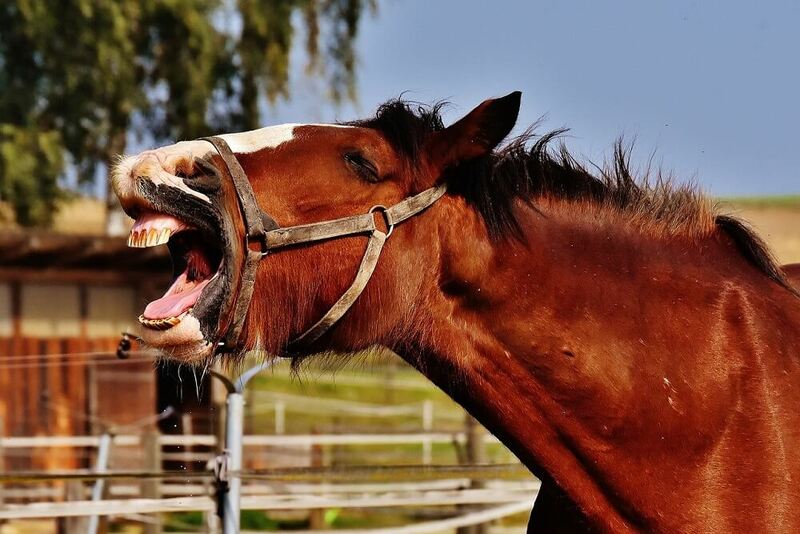 Although not many people can handle a horse as tall as the Shire, most people find that owning a Shire can be one of the most rewarding experiences ever! The beautiful feathering on the shire’s ankles requires proper brushing and regular grooming. The main reason for this is to avoid a notorious bacterial infection commonly known as mud fever or dew poisoning. It causes painful, crusty scabbing on the horse’s ankle area. The best way to avoid this common infection is to keep your Shire dry and promptly treat any signs of infections with antibiotics. The name Shire is a reflection of where this breed came from – right from the rural shires of England in locations like Cambridgeshire and Lincolnshire. Shires come in many different colors including gray, bay, black and chestnut. The UK breed does not however allow for chestnut colors. Lovely to find out more about shire horses. There is 1500+ shires in the states alone. Tallest horse is an old 1930-1940’s comment, not true today. Pricing is off, most on the high end sell for $8500.